For the competition there is an age limit of 18 to 35 years (participation at birth after 01. September 1983). For the master classes and the intensive coaching-masterclass-week all interested can register without age limit. 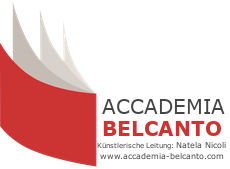 Additional special prizes and honors of the Accademia Belcanto will be awarded to selected finalists at the discretion of the jury. Persons who have already won a first prize at an international competition may enter directly into the semifinals with the presentation of official documents; we kindly ask you to send the certificate in advance as a scan by e-mail. Prize winners of a 1st place in previous competitions of the Accademia Belcanto are not admitted, all other winners may compete again. Should you not be able to participate in our competition for various reasons after admission to the competition, you will receive your fee up to August 1st, with the exception of a cancellation fee of € 50, - afterwards everything will be forfeited. Each participant will be provided with a pianist (Svetlana Sokolova or Tatiana Maksimova) for the competition, the rehearsals will be held at the Graz Conservatory. Participants who want to work with our pianists before the the elimination round on 02/03rd september must register for the coaching week. The intensiv-masterclass-week includes one lesson per day with one of our three recognized singing pedagogues. In addition, the teachers of the coaching week will not only teach, but also a part of the jury of the III. International singing competition of Accademia Belcanto. ETERI LAMORIS (soprano), NATELA NICOLI (mezzosopran) and RONALD PRIES (tenor) will help the participants improve your skills and prepare you for the competition. This also includes a total of one hour of language coaching with GINA MATTIELLO and a single piano rehearsal session with SVETLANA SOKOLOVA one of our pianists of the competition. The teachers of our other master classes Angelika Kirchschlager, Giacomo Aragall will also sit in the jury of the competition. The participants have the opportunity to bring their own pianist at their own expense. The order of the singers for the first round will be raffled and emailed before the start of the competition. You will be notified by e-mail and via the homepage about on advance. All finalists receive a diploma and have the opportunity to sing at the Winner- Gala-Concert. For the concert performances, ladies should wear elegant, long evening gowns and men's tuxedos or dark suits. The Accademia Belcanto reserves the right to make changes to the organization and its organizational details.